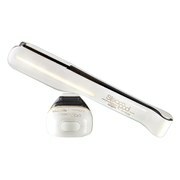 This Iron by Cloud Nine is the original Cloud Nine styling iron, and promises you sleek and shiny, smooth and controlled hair with every use. This incredibly versatile styling iron allows you to straighten, curl, smooth and flick your hair, to name but a few, and at a lower temperature than ever before, helping to protect your hair. Give yourself a sleek and professional finish every time you style your hair with these wonder irons. Fantastic hair straighteners. They're easy to use, heat up fast and they don't pull on your hair. My hair is naturally curly but the cloud nine's are great at containing the frizz! Highly recommend. Awesome straighteners, they came highly recommended by friends and have not disappointed! I have particuarly frizzy hair which requires some serious heat to straighten! However, with the Cloud Nine Irons I can now straighten my hair initially, then use a lower temperature the following days to give it that straight look with less damage. I've also noticed my hair is getting less greasy and have been able to push out my washing to every 3-4 days rather than every second day. 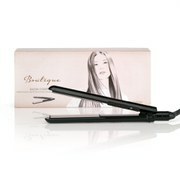 Great Hair straightener, the Cloud Nine Iron is worth the money! Absolutely no catching on my hair, and works well at lower than maximum temperatures, saving your hair from damage. Contrary to what I had read online, it *does* remember the last heat setting when you turn it on, and as it also heats up in 5-10 seconds, its a dream to use. I love the heat guard that also keeps the tongs closed when I have finished so that I can put them away safely straight away. Would recommend every time. You will not be let down. Great Cloud Nine Iron. So happy with my Cloud Nine Iron, I was previously using a GHD which Is still a fantastic straightener but always leaves my hair feeling fried. The cloud nine straightens my hair with ease (I have very coarse hair) and does not feel like it is doing half the damage. Awesome Cloud Nine Iron. Blew my GHD's out of the water. I have a really stubborn wave in my hair with really strong roots and this Cloud 9 iron glides through my hair and the results are quick and seem to last better. HQhair delivered within the delivery time and that was all the way to New Zealand. Will definitely purchase again. I purchased the Cloud Nine Iron (regular) after doing a lot of research online as to which new hair straightener I should choose, and I am extremely happy with my purchase! It makes my hair very silky and the adjustable settings mean it straightens better than my old straightener at a lower temperature and without frying my hair. I am from Australia so I just use an adapter and it works perfectly. I love the heat shield cover too. I received my order promptly and the price was very reasonable. Don't hesitate!